FUTURES TRADING SYSTEM EDUCATION: A futures trading system is a type of alternative investment which relies on automated trading system and its logic to analyze, identify and execute trades on your behalf. Futures trading strategies are becoming popular with Commodity Trading Advisors (CTA), who specializes in commodity futures trading. Automated Futures trading systems are also referred to as algorithmic trading strategies. Instead of a commodity trader (CTA) actually managing each client’s individual account, placing trades in the client’s accounts directly on their behalf, the automated futures trading system does all the work for the advisor in the blink of an eye. The strength of a futures trading system lies in their low correlation to the stock markets. This means you can make money whether the stock market is rising or falling. This ability to generate “consistent growth,” paired with low correlation investing which is what most financial advisors provide makes futures investing a perfect candidate for portfolio diversification. Commodity Trading Advisors can help you generate consistent returns by providing you with proven an automated futures trading system so you can play both sides of the stock market. Futures systems can buy long positions in anticipation of a rising market or sell short futures contracts if they expect prices to fall. Some of the best futures trading systems actually make more money is a sideways trading market which can add yet another layer of strategy diversification within your portfolio. This ability to use automated futures trading systems provide true diversification to a portfolio from their exposure to commodity/futures market as opposed to just stocks/mutual funds. And unlike long only investments where you need the price of the market to rise in order to make money, a futures trading system will actively trade both sides of price movements, allowing them to perform whether markets go up or down. Futures investing is often typically used to generate larger gains due to the leverage built into futures contracts. The potential for large moves can be very rewarding, but leverage cuts both ways. Automated futures trading systems can to be volatile and should only be used with larger accounts of $35,000 or more. Over the past few decades in the CME chart they post on their website. History shows that managed futures trading system are the place to be during market downturns and bear markets. If you want the diversification benefits and outperformance of the stock market during market corrections and bear markets – make sure your automated futures trading system is actually giving you downside futures exposure. 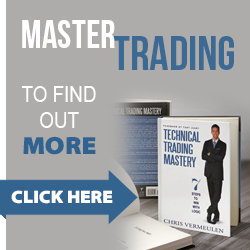 Some futures trading systems programs do not sell short and you may not get you think you are getting.